Pictures above were taken 17.11.10, a couple of weeks before his first birthday. By Littorio this young man has style written all over him, he has power off the ground like is Sire and the range and beauty of his Dam. He is a truly athletic youngster. Superb for showing with his white socks. 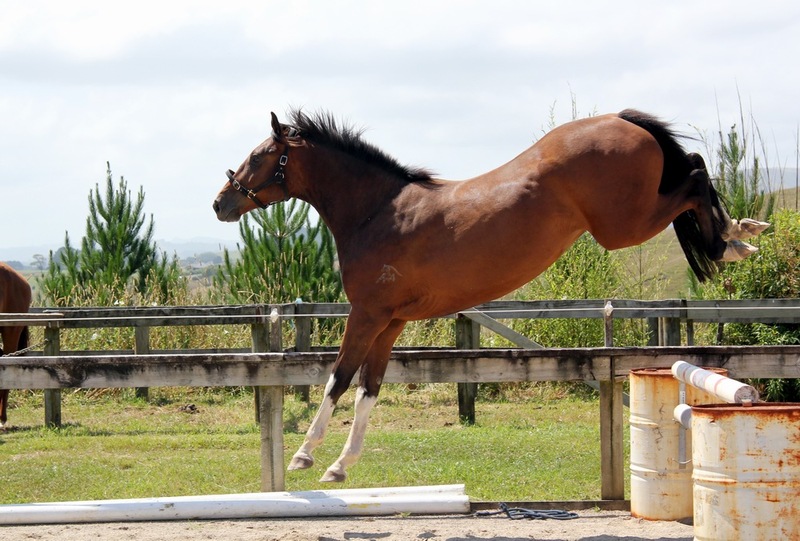 This half Holsteiner has great show jumping or eventing potential. 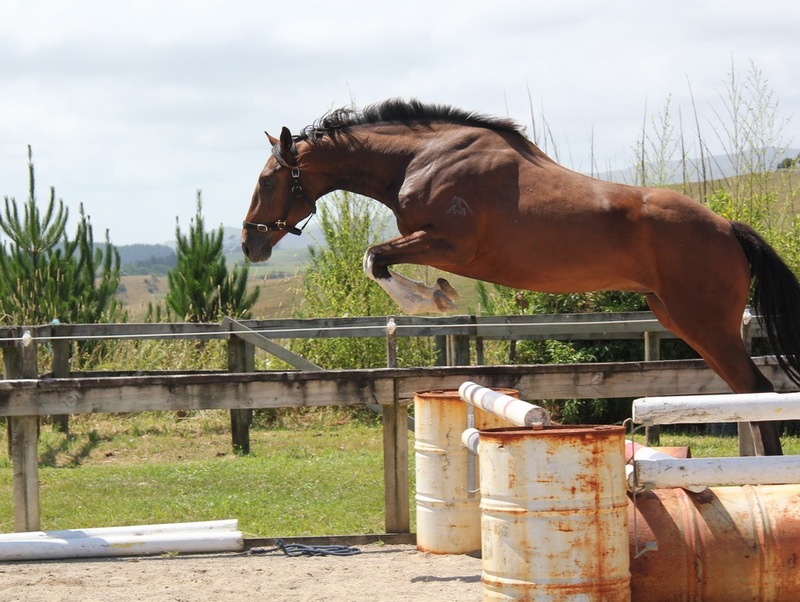 He is growing into a big strong horse and is currently 17 hands and has recently shown his huge jumping potential. Below: Photos of All NZ Lost in Austin taken Feb 2014. In Jan 2013, Austin had a trial down the free jumping lane. Here are two photos of him. He is now back and in light work.